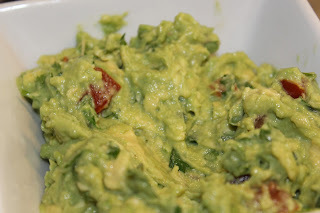 Isn't guacamole wonderful!? It's just so darn delicious! 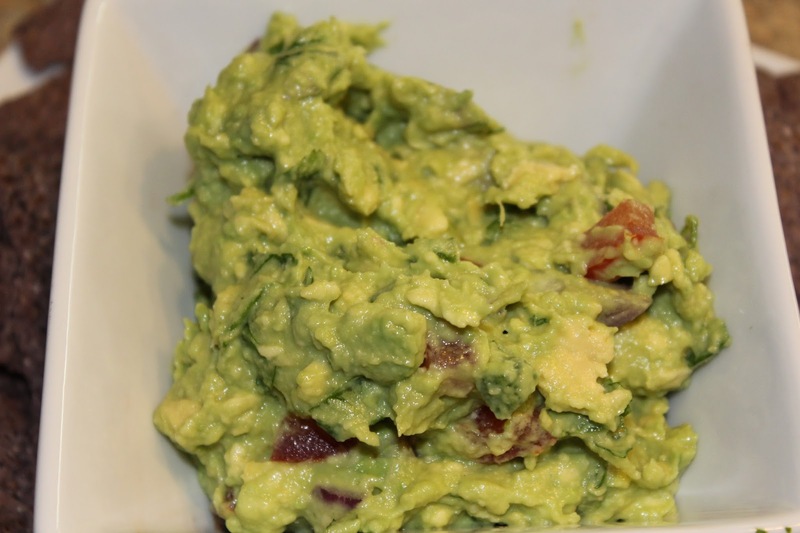 We love guacamole and it's so simple to make. My recipe is super simple, but super tasty. It can be eaten immediately, but the flavor gets better if you let it sit for at least an hour before serving. 1. 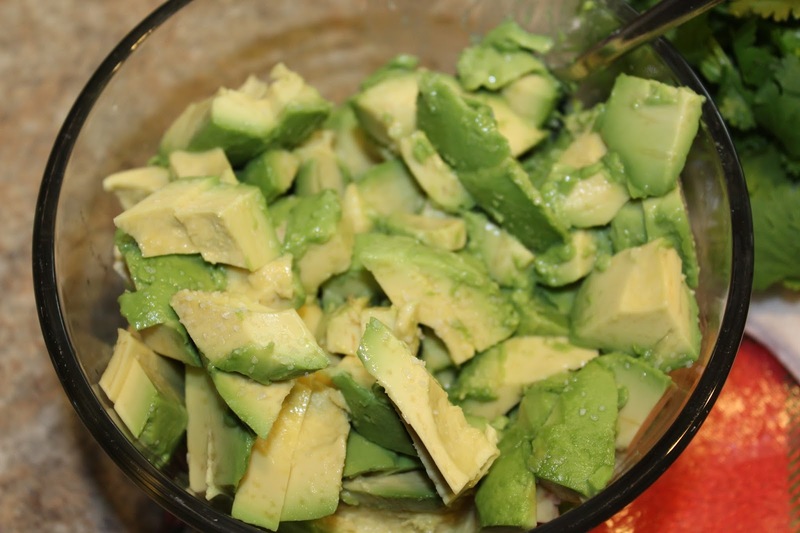 Cut the avocados in half, scoop the flesh into a medium sized bowl, add the lime juice and sprinkle with salt. 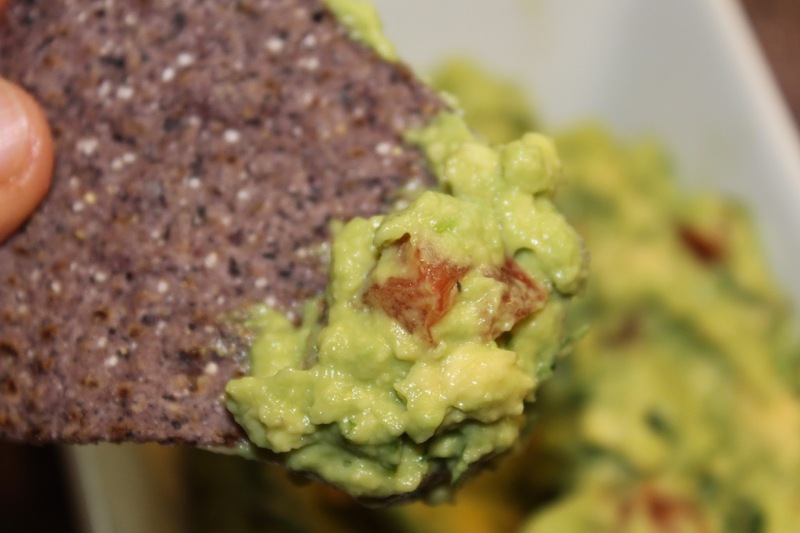 Using a fork, smash the avocados as much or as little as you'd like. Some prefer a smooth texture while others like it a little chunkier. 2. Add the remaining ingredients and mix to combine. 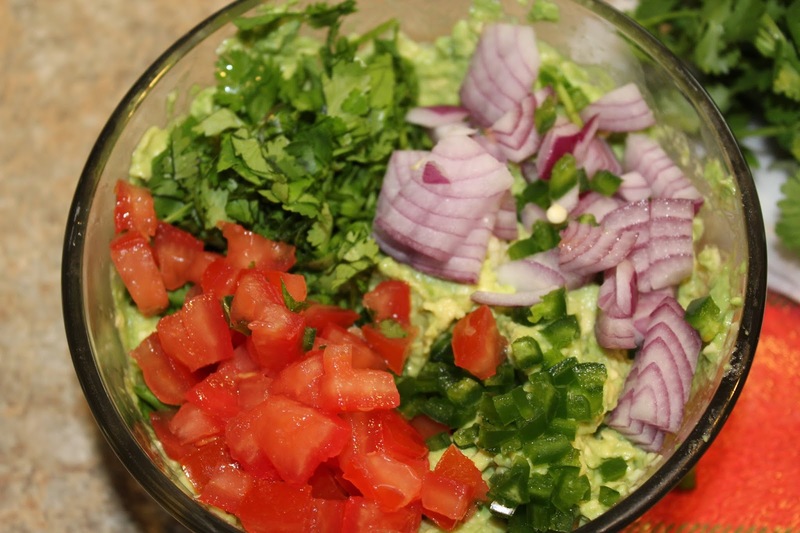 Eat immediately or store in the fridge by setting the plastic wrap directly on the guacamole - this will keep the avocado from turning brown. Enjoy!